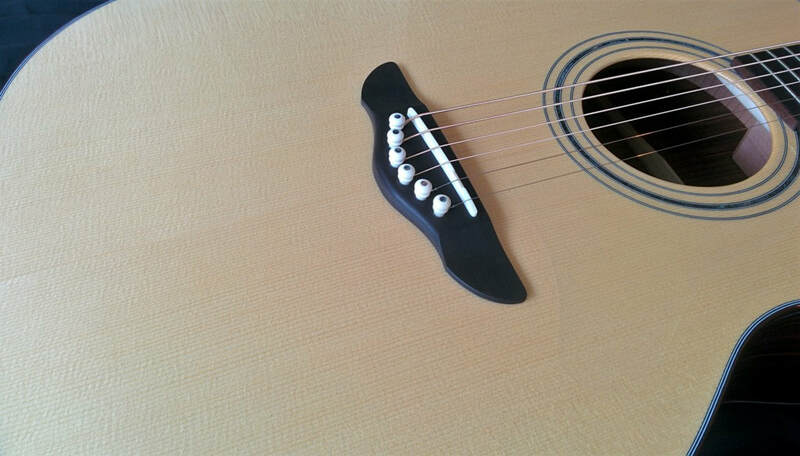 Northwood acoustic guitars feature solid-wood construction with standard wood binding and hand-fit dovetail neck joints. 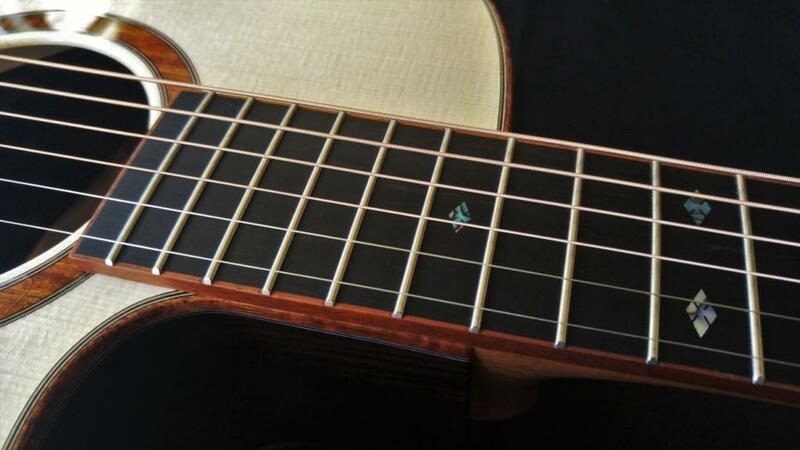 Ebony bridge and fretboard are also standard. Attention to detail is a key feature inside and out. 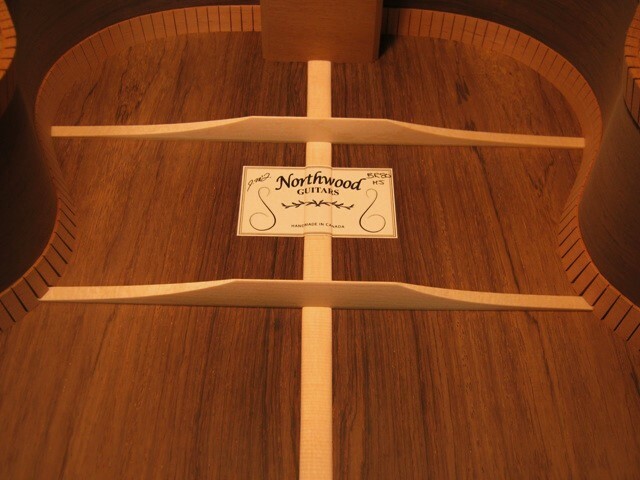 Meticulously sanded spruce braces and aromatic Spanish cedar kerfed linings add a wonderful scent to your Northwood guitar. Many of the world's most beautiful woods are available as your back and side selection. 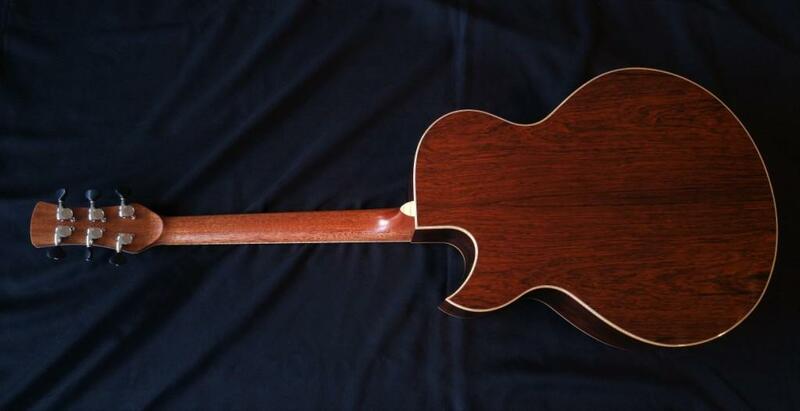 This example of Madagascar Rosewood shows it's rich beauty and as a tonewood, it is one of the best. The Northwood shop is located in the southern interior of British Columbia; home of Engelmann spruce. This is the standard soundboard material used and is hand selected for stiffness and grain quality.